If you decide to sell your home, you want to do everything in your power to make it stand out as the best house in the neighborhood. 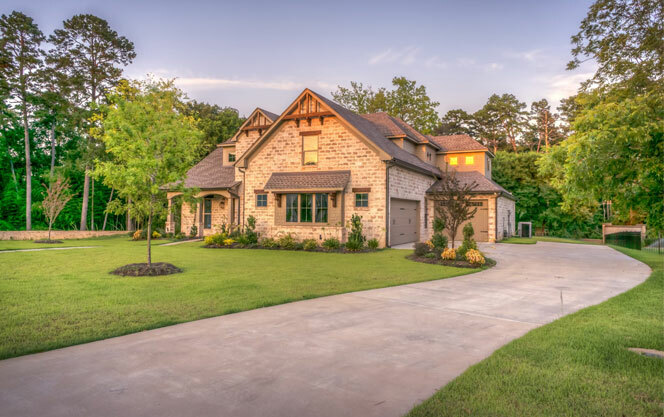 While household upgrades, and proper maintenance within your home is a good place to start, you can only make a great first impression by having a well-maintained lawn out front of your home. That means having a lush green lawn with nicely landscaped features and a close attention to detail. 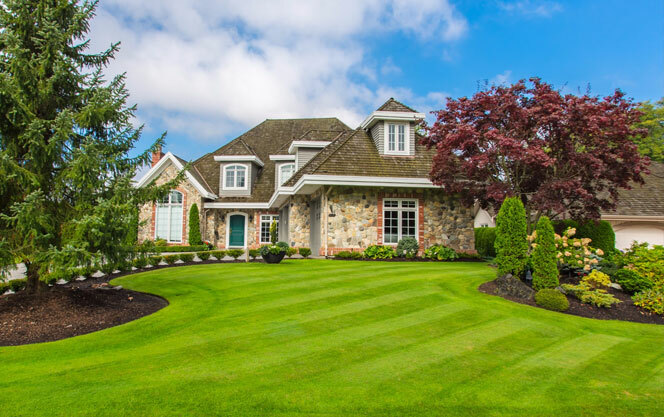 Taking the time to care for your lawn properly won’t just help you make a good first impression, it could be the thing that gets interested buyers into your home and even lead to higher offers and more money for you in the end. Unfortunately maintaining your lawn is a multi-step process and if you aren’t sure how to do it you won’t end up with optimal results. Keep reading to learn exactly what you should be doing to wow buyers with your home’s landscape. 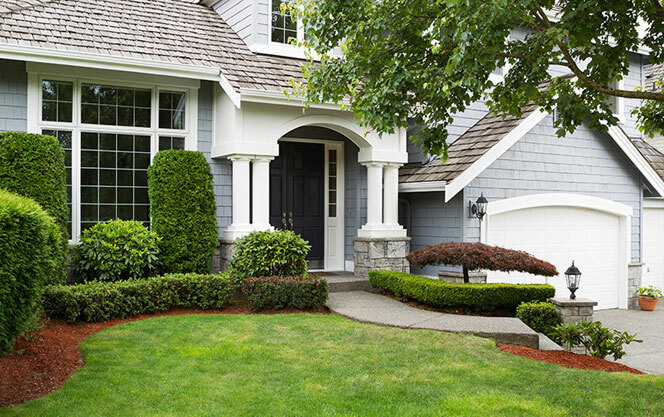 Cut your lawn regularly to give it that manicured look that’s going to wow interested buyers. Take care to cut it at the right height for your lawn variety. This varies depending on grass species, but cutting between 1” and 2” in height is usually a good bet. It’s a good idea to leave grass clippings spread out across your lawn as well, to bring much needed nutrients back to the soil. If you don’t like the look of grass clippings on your lawn, consider composting them and them treating the soil with the compost later on. Over time your lawn is becoming increasingly compact. This makes it more difficult for water and nutrients to make their way through the grass to the soil where they are needed. That’s why it’s so important to routinely aerate your soil or create small holes that allow nutrients and water to pass through. You can rent a heavy-duty machine to do the task, or invest in a small manual tool if you have a smaller lawn. Make sure that you’re getting a plug-removal aerator, and that you aerate your soil once or twice a year during your lawn’s main growth season. Regular aeration will remove the spongy feel from your lawn and make it healthier and greener. One of the most important steps that you should complete on a regular basis is to water your lawn deeply. This creates longer and more effective roots and helps your lawn withstand drought conditions more effectively. The best way to do this is by installing a high-quality sprinkler or irrigation system. With the right system in place on your lawn you can control how much water makes it to your lawn with clinical accuracy. You’ll be able to adjust the total water output each week to make sure you’re developing a beautiful and resilient lawn that’s going to make your home look great no matter what time of year you decide that you want to sell it. To really wow potential buyers with your home’s lawn, consider investing in landscaping and take the time to properly edge your lawn to give it those stunning defined sections that will make it look neat and manicured. Finally, get a landscaping company to your house, or employ landscaping techniques to define your yard with beautiful plants and to give it some features that will make it stand out above the rest. Follow each of these steps carefully and you should have a landscape that you can be proud of. When you do finally go to sell your home you’ll have more interested buyers, and you’ll likely find a few buyers that are willing to spend a bit more on your house than others in your neighborhood. A beautiful lawn could be just the thing to set your home apart from all the competition! Trevor Lively, CIC, CLIA, CIT, CCC is the general manager of Blue Jay Irrigation in London, Ontario. 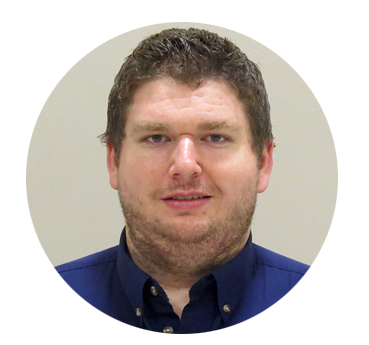 Trevor has been working in the irrigation industry for over 19 years. Blue Jay provides sprinkler system installations & maintenance, landscape lighting and more to residential and commercial properties across Ontario.